1. Word is that the Veep - aka Joe Biden - may be staying in an Eastover estate next week. He’ll be motorcading his way to BofA Stadium on Thursday night, when he’ll speak before POTUS. 2. A slew of celebs are confirmed for the three VIP events sponsored by the Creative Coalition, an advocacy group for the entertainment biz. Among the attendees: Patricia Arquette,Alfre Woodard, John Leguizamo, Beau Bridges, Rose Byrne, Tim Daly and Tony Shalhoub. But faux news anchor Jon Stewart should get some ha-ha’s by showing a brief Barack Obama bio-pic. And his “correspondents” will be all over town, taking shots – good-natured, of course – at CLT. 4. “Hug-A-Thug,” the N.C. AFL-CIO is calling it. On Labor Day, at uptown’s CarolinaFest, union members will give out free hugs – the tongue-in-cheek “thug” label is meant to break down stereotypes of union members. And if you’re a worker, stop by the union’s booth and get a “thank you” card. 5. This from our wacky neighbors in that other Carolina: VisitMyrtleBeach.com had 15.5 tons of S.C. sand dropped at the EpiCentre this week. Best place to bump into actor-activist Kal Penn convention week: NASCAR Hall of Fame. The “Harold & Kumar” star confessed to the Dish that he’s a big fan of the sport. And that he hopes to slip away from the convention long enough to check out all the vintage stock cars on display. “That’s on my list,” said the co-chair of President Barack Obama’s campaign. His fav drivers: Joey Logano and Leilani Münter. Rosario Dawson (“Unstoppable”) and America Ferrera (“Ugly Betty”) are expected to show at the Voto Latino Policy Forum (Sept. 4) and the “Purple Carpet Bash” (Sept. 5). Kathy Mattea, Anthony Hamilton and Biz Markie will be among the 20-plus acts serenading 15,000 journos at the Charlotte host committee’s $2 mil media party, Saturdayat the N.C. Music Factory. Actress Thora Birch (“American Beauty”) will be here as a California delegate. Kathleen Kennedy Townsend, Robert F. Kennedy’s oldest daughter, will attend the Echo Foundation's gala Monday night as well as the opening of a photo exhibit on her father's 1968 presidential campaign. Townsend, a former Maryland lieutenant governor, will accept the Echo Foundation inaugural Family Legacy Award on behalf of the Kennedy family. She'll receive the award at the group's gala at the Knight Theater. The gala, featuring a keynote by Gen. Wesley Clark, honors Jim and Mary Lou Babb. After the event participants head to the Observer for a reception at the exhibit of photos by Bill Eppridge, who chronicled RFK's '68 campaign. Harry and Larry are coming to town, so it’s official: Charlotte is about to make history. Harry Rubenstein and Larry Bird are curators of the Smithsonian’s National Museum of American History in D.C.
And as soon as they get their fill of Tampa, they’re heading to CLT. Wielding large portfolios, they’ll spend convention week collecting campaign signs, buttons, posters, hats, sunglasses and other Obama-Biden 2012 novelties. Talk about a cool job! Republican gubernatorial candidate and former Charlotte mayor Pat McCrory will in fact be here for part of the Democratic National Convention, a spokesman confirmed today. On Tuesday, the first official day of the convention, McCrory will be part of the Republican contingent fielding calls and doing press interviews to rebut the Democrats' talking points. After that, he'll head to points east on his campaign. McCrory played a similar role in 2004 during the Democratic National Convention in Boston. That year, you'll recall, John Edwards was on the ticket. McCrory is, however, skipping the Republican convention in Tampa this week to campaign in the western part of the state. While he's in Charlotte during the convention, he might do a little campaigning among the Democrats, the News and Observer's Rob Christensen notes. Dems still having trouble saying 'Bank of America Stadium'? Looks like those emails referring to Charlotte's football venue as "Panthers Stadium" may not have been a fluke. In an interview with CNN, Los Angeles mayor and Democratic National Convention chairman Antonio Villaraigosa stumbled a bit when asked by CNN anchor Brooke Baldwin about the reports of referring to Bank of America Stadium by another name. Villaraigosa is in Tampa this week to provide a counterpoint to the Republican convention. "Do you have a problem with a big-bank sponsor?" Baldwin asked him. "I'm just calling it the football stadium," he said. He also said the convention is proud to be in Charlotte and in North Carolina. The video was posted to YouTube by a Republican organization, but you can verify its context by reading a transcript provided by CNN itself. Republican Richard Hudson planned to take the podium in the Tampa Bay Times Forum Monday, but not to address delegates. Instead, he was going to practice. Organizers scheduled a 30-minute rehearsal for Hudson’s 2-minute speech on Tuesday. The congressional candidate in the 8th District will speak to delegates, or as many of them are in the hall on Tuesday afternoon. “I’m going to make the point that President Obama’s policies, supported by (incumbent Democratic Rep.) Larry Kissell, are hurting real North Carolinians,” he said. Another GOP congressional candidate, David Rouzer in the competitive 7th District, also will speak to delegates. One congressional candidate who won’t is Charlotte’s Jack Brosch. He’s running in the heavily Democratic 12th District against longtime Rep. Mel Watt. He didn’t seem bothered by the speaking snub. “I understand there’s a limited amount of time and pretty much an unlimited amount of candidates,” he said. AP has spoken: Wire service stories about our big-enough-to-get-the-DNC city will continue to have Charlotte, N.C., not just Charlotte, as the dateline. CLT crusader Jill Santuccio got the dispiriting news in an email from thDavid Mintorn, AP Stylebook co-editor. “AP stories are transmitted globally, and more detailed datelines help readers overseas and elsewhere grasp news locations,” he e-wrote. So why standalone datelines for Denver? Baltimore? St. friggin’ Louis? Santuccio – owner of PRISM Communications, a Charlotte PR firm – says she’s not giving up. Did Charlotte hotels price-gouge the DNC? That's what Nashville superdelegate Will T. Cheek tells the Tennessean newspaper. Public officials in the state capital have been considering whether the city should put in a bid to host a political convention, encouraged by the decision to choose relatively-small Charlotte. But Cheek said convention organizers have run into problems with the size of the market, including hotel chains jacking up prices because they knew the DNC would have no other options. To find space for all the state delgations, the DNC had to spill over into neighboring towns. "Charlotte is becoming real difficult," the eighth-time convention-goer told the Tennessean. Cheek declined to speak to the Observer on the subject. East Mecklenburg High School has landed a real American hero as its convention week speaker. U.S. Rep . John Lewis, a star of the civil rights movement, will take a break from the convention on Sept. 5 to tell an auditorium full of students how crucial it is to stay in school, get an education and prepare for life. The Georgia congressman will also talk about his own youth: At 21, as a seminary student-turned-Freedom Rider, he got beat up by bigots for daring to pass through a “whites-only” entrance at the Rock Hill bus station. That was 1961. Four years later, while marching for voting rights in Alabama, he suffered a skull fracture when cops billy-clubbed him. 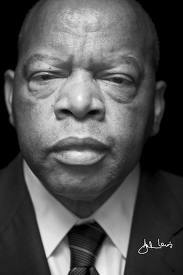 In between – 1963 – he joined Dr. Martin Luther King Jr. in speaking at the March on Washington. Introducing Lewis to the students at East Meck will be former CLT Mayor Harvey Gantt, who made civil rights history himself when he became the first black student to be admitted to Clemson University. Joan O’Brien, executive director of the East Meck HS Foundation, said she’s been working since March to get Lewis. "He said 'yes' right away; since then, it's been staying in touch," she said. "I decided if we were going to have all these congressmen in town, we should get one well respected on both sides of the aisle." Caroline Kennedy and actress Eva Longoria are among the latest speakers to be added to the DNC slate this morning. Both are co-chairwomen of President Obama's re-election campaign. With the DNC convention rolling into town in (only) 14 days, just about every national news organization has dispatched someone to Charlotte to tell their readers what they should expect when they get here. And it seems like the city can all be summed up in just a few themes. That’s not to say they’re incorrect or misleading. A number of the publications tapped local (or semi-local) reporters to unveil the Queen City. But they are undoubtedly interesting. Here are the unofficial top five things the outside world is learning about Charlotte, ranked by number of mentions in the city profiles I’ve found. For all its hassles, hosting a national political convention is still a major get for any U.S. metropolis. But for Chicago in 1968, it was a nightmare that still conjures up brutal images. Starting Monday, CLT's Light Factory will spotlight those B&W pictures of club-wielding police officers and provacative protesters in an exhibit called "Out in the Streets." On Oct. 13, the factory will bring to town two of the leading figures in that Dem convention drama: veteran activist Tom Hayden, part of the “Chicago 7” charged with inciting a riot, and N.C.-born photographer Duane Hall, who used a “shoot and run” style as he was chased by Chicago cops. James Taylor and Sheryl Crow as warm-up acts for President Barack Obama? That was the claim buried five paragraphs into a Monday story by ShowBiz411.com. “I don’t have any further details to announce about the convention program at this time,” e-said Joanne Peters of the Democratic National Convention Committee. The Dish has learned that Tar Heel native Taylor has been on the road singing for small groups of big Obama donors. And that he has some convention gig in Charlotte. But RFK’s widow – now 84 – will be in CLT. She’ll join about two dozen members of the Kennedy clan at the DNC, says the Bah-ston Globe. Grandson Joseph Kennedy III, a candidate for Congress, will introduce a video salute to the late Sen. Ted Kennedy on the convention’s opening night. Looks like the Dude is comin’, man. We’re talking about movie actor Jeff Bridges, who played The Dude in “The Big Lebowski.” And Rooster Cogburn in “True Grit.” And the whiskey-soaked country crooner in “Crazy Heart” – the part that won him an Oscar. Bridges is on the tentative attendee list for the Impact Film Festival, set for convention week at uptown’s Mez & EpiCentre Theaters. He narrated “Hunger Hits Home,” a film about childhood hunger that will be shown and discussed. Also expected to come to the fest: Mo Rocca. We know him as the snarky-funny guy on “CBS Sunday Morning” and NPR’s “Wait, Wait – Don’t Tell Me.” But in CLT, he’s scheduled to screen “Electoral Dysfunction,” his timely road-trip pic on how voting works (and doesn’t) in these United (not really) States. An army of A-list celebs and politicos are expected to show up at the N.C. Music Factory on Sept. 5 for a Hollywood-themed gala hosted by L.A. Mayor – and Dem convention chairman – Antonio Villaraigosa. The Dish has learned that the Factory’s Fountain Plaza and Osso Restaurant will get a one-night make-over. Picture palm trees, hints of classic L.A. architecture and lots of California wine. Villaraigosa offered his vision for the party during a recent CLT stopover. Dining at Osso with Factory prez Noah Lazes, His Honor said he’d invite stars. "I’ll call Eva," he name-dropped – a reference to former "Desperate Housewife" Eva Longoria, now a national co-chair of President Barack Obama’s re-election campaign. The event is a benefit gala under the glamorous auspices of The Creative Coalition, an advocacy group for the arts and entertainment community. Based on its Web site photos (www.thecreativecoalition.org), the group draws some of Hollywood’s hottest to their events. Set to perform "Love Shack" and other dance-able hits that night: The B-52s. News about entertainment for the week of the Democratic National Convention has begun to roll in, but many of these concerts and events will be private or invitation only. However, some shows like the Third Party events presented by the Quazimoto Group featuring local visual and musical artists at various uptown venues (more on that to come), will be open to the public. The Neighborhood Theatre announced this week that regional favorites Acoustic Syndicate will return to the NoDa venue for Occupy Your Mind Thursday, September 6. 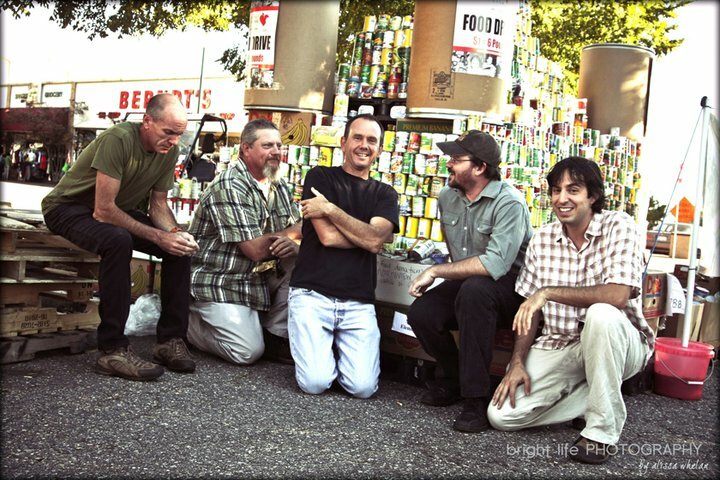 The Western Carolina group will share the stage with Brooklyn's Breaking Laces and Folly Beach, SC's Dangermuffin. 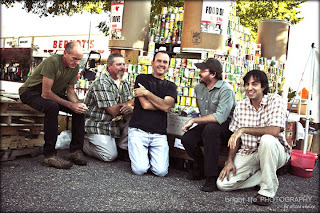 Tickets are $10 and available through www.neighborhoodtheatre.com. Also open to the public are previously announced concerts from R&B singer Kem at Ovens Auditorium and the Rock the Red concert with Travis Tritt, Lee Brice, and the Charlie Daniels Band at Bojangles' Coliseum. Both of those concerts take place Wednesday, September 5. Tickets are available through Ticketmaster outlets. Facebook is sometimes known for ill-advised party pics, but during the DNC, the newly public social media giant will be hosting shindigs of its own. No word, though, on whether Mark Zuckerberg and his hoodie will make an appearance in Charlotte. The company unveiled its plans for Charlotte and the RNC in Tampa this week through a post on a page run by its Politics & Government team. Facebook will host receptions "honoring pro-technology legislators and highlighting the contributions of leading high-tech innovators to the strength of the American economy," the company said. The company is also throwing an "Apps & Drinks" party where developers and Facebook's public policy staff will show off their politics apps. On convention Monday, the company will participate in a forum talking about social media's impact on the 2012 election. Facebook is also co-sponsoring StartUp RockOn events sponsoring entrepreneurs. Facebook went public earlier this year, and has been under considerable government scrutiny in recent years since it collects so much personal data. Earlier this month, the Federal Trade Commission finalized a settlement with the company over privacy controls requiring audits for two decades. The company has also ramped up its federal lobbying spending. Facebook spent $960,000 on U.S. federal lobbying in the second quarter of this year, according to federal records. It's spent $1.6 million in the first half of the year, after spending $1.35 million all of last year. Sounds like Bank of America Stadium may not be the only Charlotte locale President Barack Obama will frequent during convention week. Apparently, 44is also scheduled to attend one of the 60 private parties set for the Charlotte City Club. We wanted to make sure our eyes weren’t lyin’, so we called Club GM John Scharer. Scharer was mum about the actual event as well as the day and time. We do know that Obama is skedded to give his acceptance speech Sept. 6 on the 50-yard line at BofA Stadium. Sharer told us the City Club is also planning to serve ex-Pres Bill Clinton and his secretary of state, Madeleine Albright. And though 87-year-old Jimmy Carter has announced he won’t be coming to Charlotte, Sharer told us the Georgia delegation is hosting an event to honor the 39th president. “He may or may not be there,” the GM said. In his letter, Page informed members – they own the 65-year-old private club at Trade and Tryon – that member dining would be limited to one room Sept. 4-6. And no breakfast will be served convention week. But the good news: “We expect September 2012 to be one of the best financial months in Club history,” Page wrote. We already knew that corporations were giving money to a special nonprofit set up by the convention host committee to get around the Democrats' ban on company cash. Turns out lobbying groups are giving, too. The host committee has declined to name its donors, and it has yet to do so with the federal government as well. But the political action committee for New York City-based lobbying and PR firm Hill & Knowlton Inc. has disclosed giving $18,000 to the so-called New American City fund earlier this year, according to Federal Election Commission records. It gave the same amount to the Tampa host committee, site of the Republican convention. $36.6 million: Amount the Charlotte in 2012 host committee has contractually agreed to raise, to give to the Democratic National Campaign Committee to pay for the actual convention. No corporate or lobbying money, for the first time. $12-15 million: Amount the Charlotte host committee is believed to be raising to pay for events designed to showcase Charlotte, known as the New American City fund. Accepts corporate money. She’s 28, bald, and will make her national TV debut convention week. Fox News’ morning show is setting up a DNC-week studio at the NASCAR Hall of Fame. Steve Doocy, Gretchen Carlson and Brian Kilmeade – the show’s trio of hosts – will presumably do an early-bird Q&A with this proud local version of the USA’s National Bird. The Raptor Center will be the venue for a Sept. 2 party for delegates from Wisconsin, Nebraska and Iowa. Look for Lady CLT to spread her wings then, too, the center’s Michele Miller Houck told us. The Billy Graham Library isn’t hosting any convention parties – it’s more of a GOP hangout. But Dem delegates can check out its new exhibit spotlighting Charotte’s favorite son as he hobnobbed over the years with U.S. presidents and other heads of state. True, Billy pastored more Republican presidents, including Richard Nixon and George H.W. Bush. But he was close to fellow Southerner LBJ. “God’s Ambassador to World Leaders” includes rare photos, memorabilia and handwritten correspondence. Some convention-goers will have to work, push and sweat to get where they’re going. They’ll be the ones passing the rest of us by in their Freewheelin’ pedal buses. Humana, the national health care giant, is providing 20 of these “bus-cycles” free for those – including CLT residents – who prefer a healthy, green transportation alternative convention week. They look like shaded golf carts – with two back seats – but they work like communal bikes. There will also be routes – and stops where pedalers can get free health screening, fruit and cold H2O. Time for a shameless plug for the Observer’s almost-annual “Firebird” photo contest. You can win prizes by sending us a photo of yourself standing next to the sculpture at the uptown Bechtler Museum of Modern Art. To celebrate the DNC, the editors have ponied up $25 gift cards. To win one, snap a photo of yourself with the bird and a member of the first family. Upload photos at charlotteobserver.com/contests. Uptown won't get all the action when the Dems come to town. Take the 2012 DNC Golf Classic, set for Sept. 4 at the Charlotte Country Club. Four members of Congress signed up for the $1,250-per-golfer fundraiser. Reps. John Yarmuth(Ky.), Cederic Richmond (La. ), Joe Courtney (Conn.) and Gene Green (Texas) will be out to benefit The First Tee of Washington, D.C., which introduces golf to youngsters. Charlotte’s Echo Foundation had hoped to kick off convention week with Bill Clinton as headliner at its 15th annual awards gala. Clinton begged off, but another son of Arkansas – and a bona fide FOB (Friend of Bill) – will deliver the keynote on Sept. 3. The real stars of the night will be CLT civic leaders Mary Lou and Jim Babb. They’ll pick up the Echo Award Against Indifference for their many years of educational, cultural and charitable contributions. The protesters are coming, and at least one of the big banks is getting ready. Sources who should know told us that Wells Fargo will likely coat its uptown windows with anti-shatter stuff. Looks better than boarding them up – still an option, we hear. With anarchists and Occupiers among the mix of marchers, a source said, “Banks will be such a huge target.” Many Wells Fargo employees will be working from home, far away from protesters. We've all wondered about the delay in announcing the musical acts for CarolinaFest, the public festival uptown on Labor Day that will act as a welcoming party for the Democratic National Convention. Now The Hollywood Reporter claims we can blame MTV's Video Music Awards for the wait. According to reports being picked up on other convention-watching sites, the VMA will air Sept. 6, the same night President Barack Obama will accept the party's nomination. So headline musical acts will be in Los Angeles getting ready and won't be available to entertain in Charlotte, at the stages on Tryon Street or at any of the other convention events. In 2008, a number of musicians, including Sheryl Crow, Nelly and Death Cab for Cutie performed in Denver during the convention. But some of the organizations that put on those events, have cut back this year to save money for other campaign initiatives. And, as Hollywood Reporter was happy to point out, it's not as easy to travel between Charlotte and Los Angeles, especially at the end of the long music-touring season. The Reporter quoted one Democratic activist as saying, "Charlotte is not Denver." But that activist speculated that Obama might still be able to put out an invitation to a star performer and have it answered: "My guess is (the convention) might not be the star fest that it once was, but it will still command some star power." At least the Huffington Post says that MTV will keep the VMA broadcast between 8 and 10 p.m., so it won't interrupt Obama's speech, expected to happen about 10 p.m. EDT. There will be no more guessing about whether N.C. Gov. 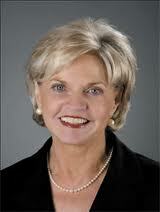 Bev Perdue will speak at the Democratic National Convention. She's expected to welcome delegates on the convention's opening day. North Carolina Gov. Bev Perdue has yet to hear if she's speaking at the Democratic convention. 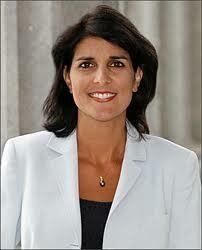 But her South Carolina counterpart -- Gov. Nikki Haley -- will be among the headline speakers at the Republican National Convention in Tampa. The Tampa Bay Times reports this morning that Haley will join former GOP presidential candidate John McCain, former Secretary of State Condoleezza Rice, New Mexico Gov. Susana Martinez, former Arkansas Gov. Mike Huckabee, Florida Gov. Rick Scott and Ohio Gov. John Kasich as a featured speaker. GOP chairman Reince Priebus called the lineup "some of our party's brightest stars, who have governed and led effectively and admirably in their respective roles." Democrats earlier announced their headline speakers. Along with President Barack Obama and Vice President Joe Biden, they include former President Bill Clinton, Massachusetts Senate candidate Elizabeth Warren and First Lady Michelle Obama. A dark-skinned caricature that’s the logo for the black-owned No Grease barbershops in Charlotte is drawing some attention. A story reported by WBTV, picked up by BET,says a local business owner is circulating a petition for shop owners Jermaine and Damian Johnson to take down the logo hanging outside their Time Warner Cable Arena shop location because it is controversial. Jay Whipple, founder and director of Queen City Tours and Travel, told WBTV the logo will be offensive to Democratic National Convention visitors. "As a kid I was actually called a 'Little Black Sambo' because I was darker than some of my brothers and sisters," said Whipple in the WBTV story. "It was a joke but you don't always realize how damaging it is to you as an African American." See the WBTV story here, and the BET story here. It's time for brothers' minstrel logo to fade to black In case you haven't noticed, some of the world's biggest brands have recently taken a decidedly public plunge into the unknown. Google's done it. So have Hertz, MasterCard and Audi. Even Kraft, perennial darling of the American stovetop, has jumped headfirst into the mix. No, they're not helping BP clean up the Gulf. Yep, they've changed their logos. Which brings me to the improbable - and admittedly lower-profile - case of No Grease Inc., our own chain of black-owned barbershops that is clinging to a racially explosive minstrel logo like Trump to his comb-over. Perhaps you've encountered No Grease's logo, the bug-eyed, black-faced caricature inspired by those dehumanizing minstrel shows of yesteryear. If logos are measured in second looks, this one ranks right up there with the Golden Arches. Trouble is, like swastikas and Indian mascots, minstrels don't exactly evoke humankind's finest hour - or, for my money, put folks in the mood for a haircut. Yet since No Grease's founding 13 years ago, the caricature has served as the company's proud signature, the branding behind its three shops, barber school and various promotional events and materials that include a book and DVDs. For me, here's the rub: I like No Grease as a company and progressive brand. I said as much recently in a column about how Damian and twin brother Jermaine Johnson, who co-own the company, are galvanizing the city's black entrepreneurs to become bigger players in Charlotte's economy, something this city really needs. And I applaud their fledgling organization, the Urban Business Network, which has blossomed to earn the support of several heavy hitters around town, including Ronald Carter, president of Johnson C. Smith University. But the logo has got to go. Jermaine, a graphic designer, created what would become the infamous logo back in high school. Since launching their company with the logo, the brothers have been offering years of thoughtful, if not strained, rationale for subjecting patrons and passers-by to it. It goes like this: Symbols possess no real power, and No Grease, through its solid work ethic and entrepreneurial success, embodies the notion that racist stereotypes are no match against the real truth of what we can accomplish. Hey, I get all that. But it's wishful thinking - and maybe a dose of arrogance - to expect ordinary folks to unravel a tangled logic which suggests a caricature of a cooning black man can become - voila! - a socially redeeming force under the right proprietorship. A bad idea is a bad idea no matter where it lives. Pity the white business that one day wants to buy No Grease and invest a few million into a minstrel marketing program or perhaps a stadium sponsorship. Picture it: The No Grease Dome, with a big rotating minstrel on top. Guys, you're on the fast track now. The minstrel has served you well. Now, can we finally bid him farewell? There's nothing wrong with a good makeover from time to time. Ask Aunt Jemima - the woman has never looked happier. The “Carolina Stories” screening is back on for this week’s Food Truck Friday in Historic South End. Three local production crews made 30 two-minute videos designed to promote the area to convention visitors. Charlotte in 2012 convention host committee is sponsoring the event in partnership with The Light Factory and Charlotte Center City Partners. Showtime is 7-10 p.m. at 112 W. Park Ave., at the corner of Camden Road and Park Avenue. This event was originally scheduled for July 13 but was postponed due to weather. An earlier Convention Watch blog post gave the wrong rescheduled date.